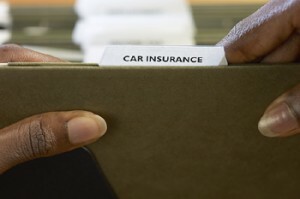 Most states require driver’s to hold some type of auto insurance policy. However, shopping for auto insurance can be tricky. Not all auto insurance policies are alike and chances are your insurance needs will vary depending on the type of car you have. Before you shop for car insurance, make sure you understand the difference between liability coverage, collision coverage, comprehensive coverage, and full coverage. Liability insurance covers you for damages that you might cause to others. However, it does not cover your own vehicle. Usually this is the minimum requirement in most states. Collision coverage is the coverage you pay for if your vehicle is damaged in an accident. When an accident occurs, you usually report a claim to the insurance company. Most of the time you have a deductible and your insurance company takes car of the remaining costs of the damage to the vehicle. Comprehensive coverage is for any other type of loss related to the car, including theft, fire, and any other type of loss that is not the product of a collision. Many times you have a deductible for comprehensive coverage, but it is usually smaller than your collision deductible. Full coverage covers you for everything – liability, collision, and comprehensive. « “Cover Me, I’m Going In.” Are You Really Insured Driving Your Friends’ Car?